Construction contractors are struggling to meet deadlines as an ongoing labor shortage persists, according to the latest Q1 2019 USG Corporation + U.S. Chamber of Commerce Commercial Construction Index. According to the survey, contractors also see a healthy market overall, but may be slightly more cautious about the health of the commercial construction industry. Respondents said that the labor shortage continues to pose major challenges, causing firms to, most commonly, resort to asking skilled workers to do more work (81%) or struggling to meet deadlines (70%). Others say the workforce challenges are driving them to put in higher bids for projects (63%) or forcing them to reject new projects (40%). In every instance, the challenges are hitting commercial construction companies’ bottom lines. The survey suggests that three misleading, negative perceptions of construction careers may be causing fewer workers to enter the industry, exacerbating the labor shortage problem. According to contractors, these myths include the perception that construction jobs are all “dirty” jobs (referenced by 61% of respondents), that construction work requires only brute strength (55%), and that construction work is just a “job,” rather than a career (52%). Contractors view the industry in more positive terms, seeing good pay, opportunities for advancement, and the ability to learn skills on the job as the best reasons to pursue a career in construction. They also see ways the industry can improve recruitment and retention to help ease the labor shortage. Contractors say the best ways to recruit more workers are a better reputation for high pay, more apprenticeship programs, and increased opportunities for advancement. And to retain employees in the workforce, 55% of contractors believe there should be more opportunities for advancement, in addition to increased employee engagement and more on-the-job training. The growing role of technology on the jobsite was also cited as an important means to attract younger, more tech-savvy workers. The survey also looks at contractors’ view of the health of the construction industry. Overall, the Q1 composite score of 72 (down three points from 75 in Q4) shows a healthy market, though contractors may be slightly more cautious about the health of the commercial construction industry. All three leading indicators – backlog, new business and revenue forecasts – also fell this quarter. Backlog: Contractors’ ratio of actual to ideal backlog dropped three points to 77 (down from 80 in Q4 2018). In Q4 2018, 41% of respondents said their backlog had increased. This quarter, that number fell to 28%. 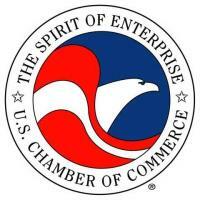 New Business Confidence: The level of overall confidence dropped five points (from 76 to 71) quarter-over-quarter. Revenue: The revenue driver dropped two points to 67 this quarter, indicating moderated expectations for the magnitude of revenue growth in the next 12 months. It’s hard to pinpoint the cause for these declines. The survey was fielded in January – during the longest federal government shutdown in our nation’s history – so concerns about economic stability and future growth were likely more top-of-mind than in previous surveys. “The first quarter findings suggests that the fundamentals of the construction industry remain strong, but to sustain future growth, it is clear that we need bipartisan policy solutions from Washington that promote trade, reform our immigration system, and better prepare America’s workforce for the jobs of today and tomorrow,” said Neil Bradley, U.S. Chamber of Commerce executive vice president and chief policy officer.